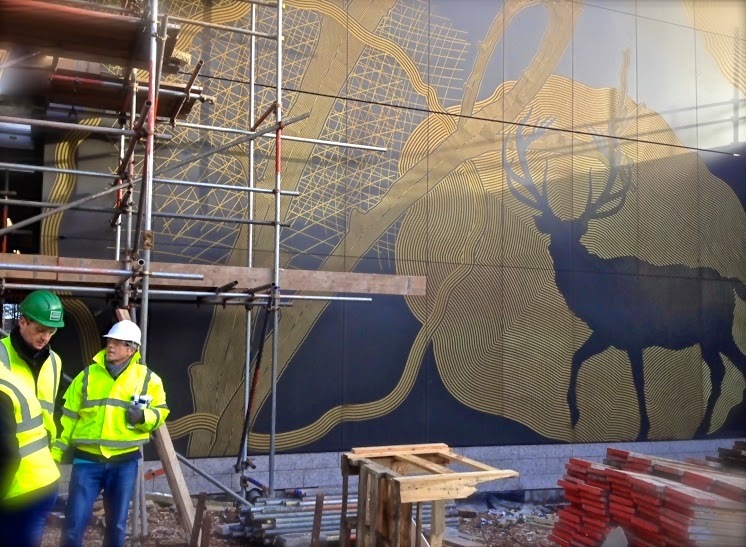 Sheffield Hallam University, UK, is incorporating their art into a building facade with the help of Rhino. The three-story carving is installed on an exterior wall of the university's new 'Heart of the Campus' building. The basalt panels, a product of Rockpanel, total approximately 13 kilometers of machining on CNC routers for the engraved panels, with a tolerance of .5 mm. The CNC routing was done at the The Cutting Room, using Alphacam, with Rhino for prep and trimming drawings and files.